Wait, what happened to the herbs? If you remember my first definition of the herb as a useful plant, this moss is serving the purpose of an herb in our lawn. It’s been quite a battle between the Spoiler and me over the moss in the lawn. I love it. If the lawn would support it, I’d let it be ALL moss. But moss needs certain conditions to grow (as any other plant does): it needs either shade, compacted soil, or acidic soil (or all 3). We’ve got the acidic soil. But we don’t have the shade or compacted soil everywhere. 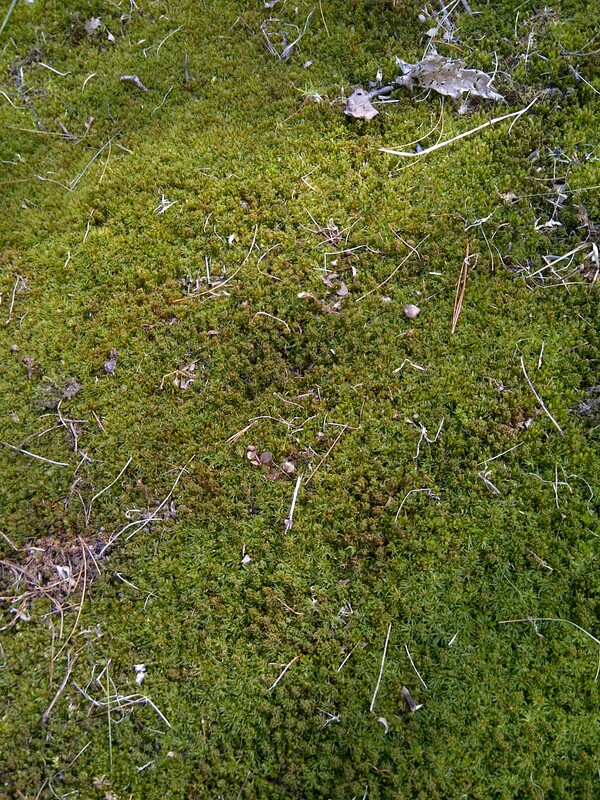 Where we do, the moss occurs naturally. And finally, the Spoiler has agreed to let it stay. It’s beautiful. I would love to have lots of moss. Thanks. I know you’re trying to get moss to grow in your meditation garden. Have patience–it will happen. This all didn’t happen overnight–we had a couple of very wet springs and summers that really helped it along!